Robertson’s Landscaping has several maintenance crews capable of taking care of all your maintenance needs. We span our services from the individual Homeowner to Office Suites, Schools, Country Clubs, HOA Communities, Parks and Open Space, City Projects, Apartments, Condominiums, and Retail Centers. Each property we maintain requires a multitude services and our ability to provide each of these services is what sets us apart. We strive to be a one stop shop for all your maintenance needs. So whether you are a homeowner, developer, or property management company, we will work with you to develop a program for each property and maintain that program to a high standard. Robertson’s team of maintenance professionals consist of Certified Arborist, Horticulturists, Master Gardeners, and Irrigation Technicians with Class B Pluming Licensures. Each property we maintain is assigned a Manager so all your questions, concerns, and needs can be meet with once phone call. 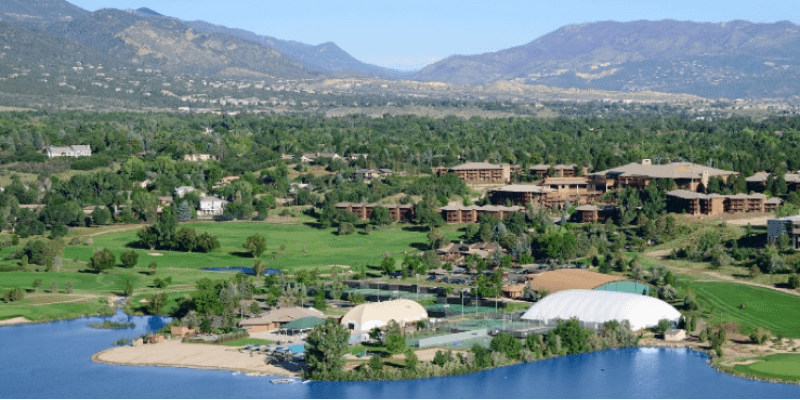 This 4 Diamond Award Winning Resort with its stunning views and world-class facilities has been boosting Colorado Springs economy for 30+ years. We work close with the CMR staff to insure their grounds hold up to the name they made in the resort industry. Robertson’s is proud to be apart of such a lasting success. Shortly after we finished the construction of this staple in the Northgate Development area, Robertson’s was tasked with maintaining this beautiful facility. 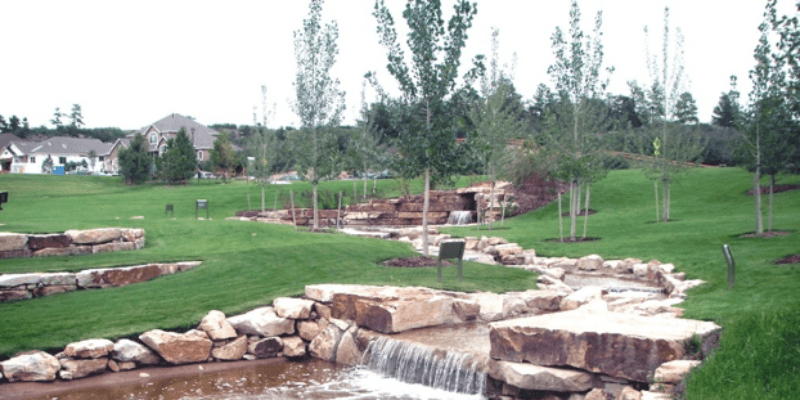 With ponds, water features, turf areas, endless hard scape areas, and thousands of plants, it takes careful management and thousands of hours to keep up with its demands. 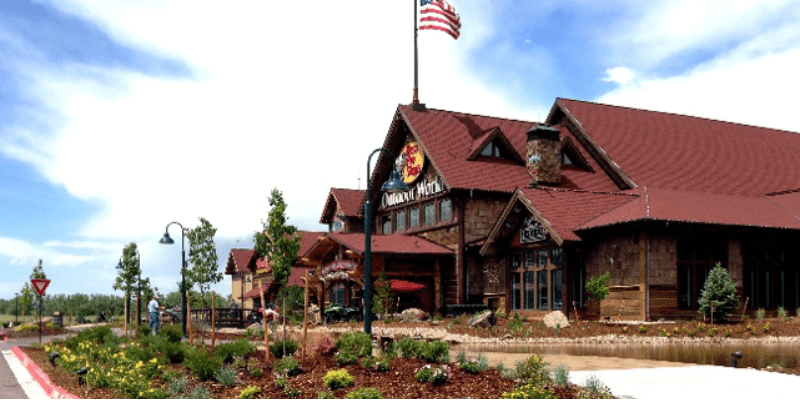 This 210 acre property is Colorado Springs most successful and thriving urban renewal project. Robertson’s has had the privilege of building and maintaining this project from the start. With the property half developed and new retail/commercial development coming soon, we look forward to future and being part of this great community project. Stone crossing is a beautiful park like community that paved the way for all the development you see in Northgate today. Having built & maintained this property for the last 12 years, it has allotted us the opportunity to maintain hundreds of additional acres of property in and around Northgate today. 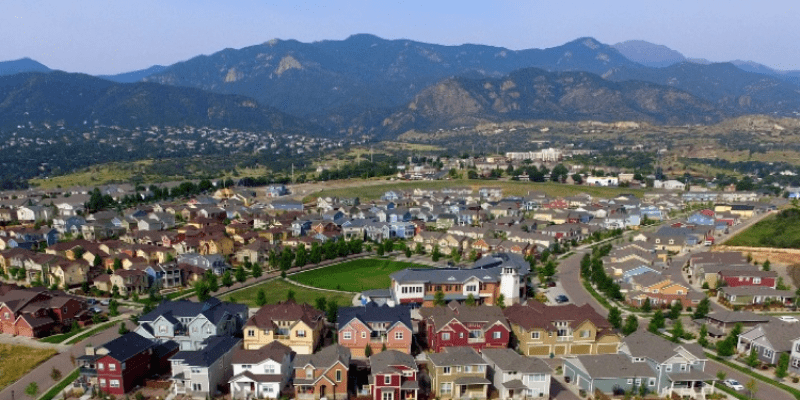 The Broadmoor Resort Community is the most prestigious private home developments in all of Colorado Springs. 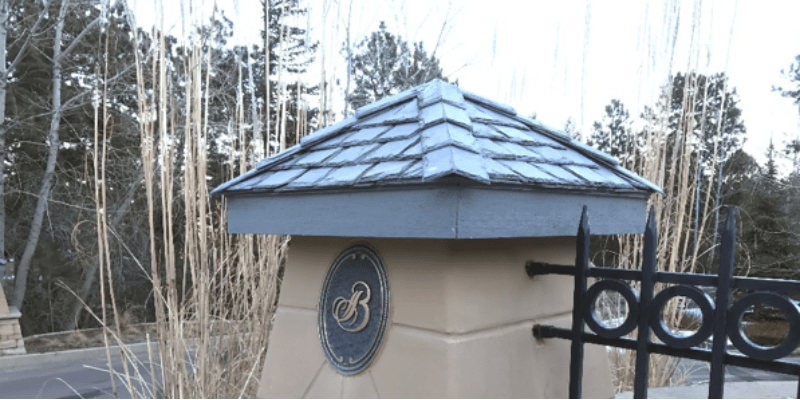 Nestled in the foothills of Cheyenne Mountain, Robertson’s has built and maintained this property since its beginning 12 years ago. 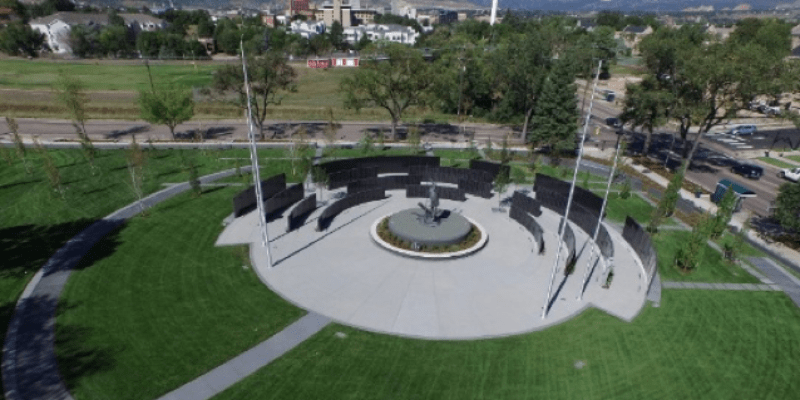 This National Award Winning Memorial is situated in the northwest corner of Memorial Park in Colorado Springs. After being awarded the landscape construction, we were horned when asked by the IAFF to perform the maintenance. With thousands of visitors a year and an annual memorial service that fills the park, the management of this property is critical.